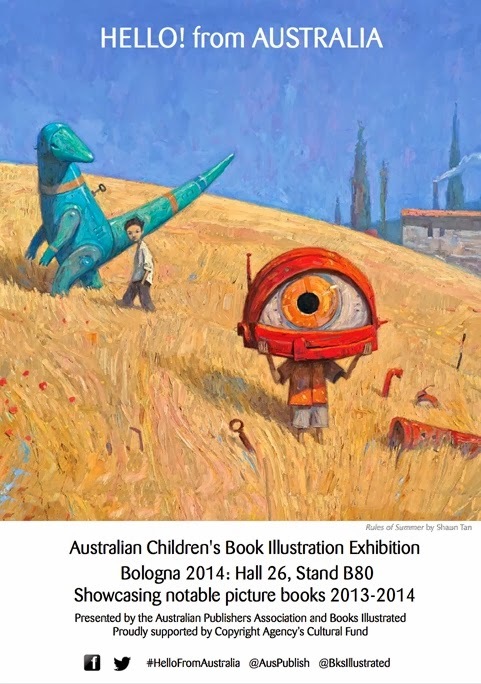 It is that time of year - the Bologna Children's Book Fair! Books Illustrated wants to congratulate all of the illustrators and authors whose books have been chosen for this year's 'Hello! from Australia' Exhibition and Display. 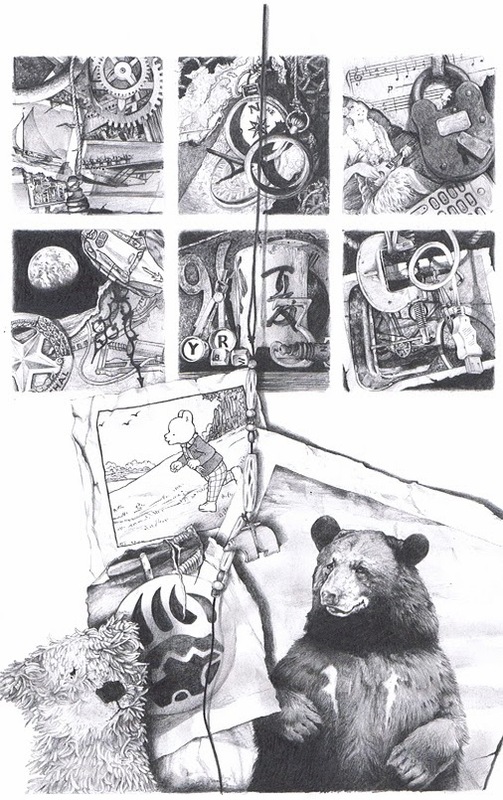 We'd also like to congratulate Bruce Whatley whose illustrations have been accepted for the 2014 Bologna Illustrators' Exhibition and Illustrators Annual. Bruce said … 'looking at the list of artists exhibited this year, I realised it's a tough one - mainly European of course, but lots of Japanese and Korean too’. These sample illustrations are from a book called Ruben which Bruce has been creating over the past three years. It will be published late 2015/early 2016 by Scholastic Australia. See the 2014 catalogue, below or see it on ISSUU. The 2013 Bologna Rights Catalogue on the APA and ISSUU websites have been viewed over 3000 times! In the lead up to the fair we will be promoting the creators and their work via Books Illustrated's Facebook and Twitter - so stay tuned. Give us your feedback on #HellofromAustralia.